Pardon my French but ... F**k It! What is all this about you may ask? Well, on a serious note, fear has stopped me from new experiences many times in my life. I am no longer interested in a fearful lifestyle. On a fashionable note, I recorded a sound wave of the words "F**k It!" and turned the visual of the recording into an empowering pattern design in this bright jersey top. Now, every time fear may poke its head out, you have a stylish reminder to go forward and not to hold back. Life is worth the courage we have in our hearts! 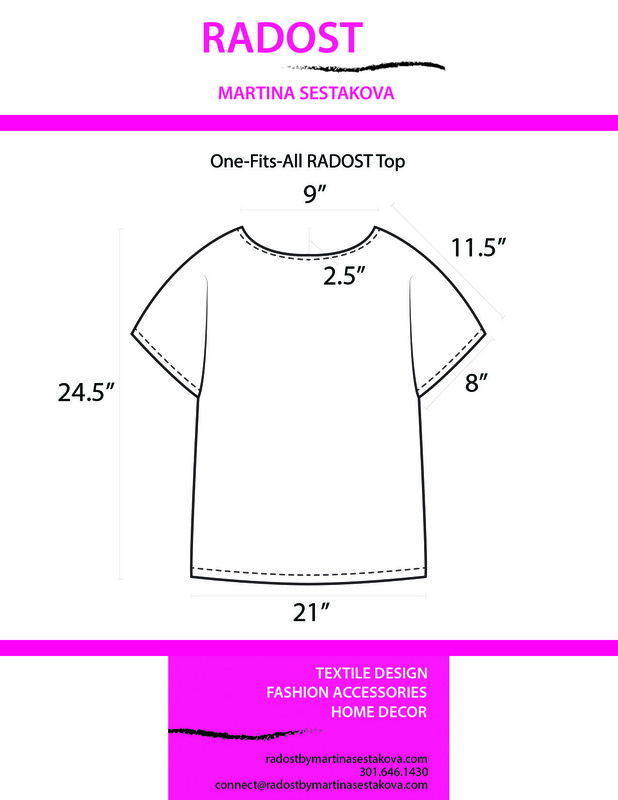 My unique RADOST™ tops are infinitely comfortable, stylish, and handmade with much joy in the United States. Care instructions: Machine wash cold and line dry; do not bleach. Free shipping: All in-stock goodies are shipped within 9 to 10 business days. If you wish to purchase an item that is out of stock, don’t hesitate and contact me!